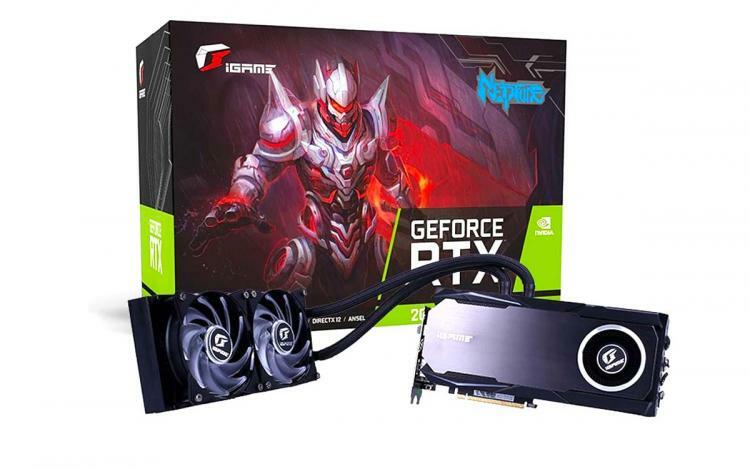 Colorful presents its newest Neptune Series graphics card featuring the flagship NVIDIA GeForce RTX 2080 Ti GPU â€“ the Colorful iGame GeForce RTX 2080 Ti Nepture OC. Like the EVGA GeForce RTX 2080 Ti KINGPIN, the iGame GeForce RTX 2080 Ti Nepture OC also sports a hybrid cooling system featuring a 240mm radiator and a full-cover water block base. The water block is a one-piece aluminium with a copper base. The new Neptune watercooling module features Breathe-Gill Technology that offers a more dense water lane structure for superior cooling performance. The iGame GeForce RTX 2080 Ti Neptune OC packs a blower-type turbo fan on its shroud to deliver aircooling to the VRMs and PCB. The graphics card also packs customizable RGB lighting and a stylish backplate. The Colorful iGame GeForce RTX 2080 Ti Neptune OC sports the new Neptune Hybrid Cooling Engine featuring a high-performance 240mm radiator with two 120mm RGB cooling fans. The copper base features Breathe-Gill Technology with its dense fin design for improved cooling capacity. To further improve cooling, the graphics card packs a turbo fan to cool VRM and graphics card components. 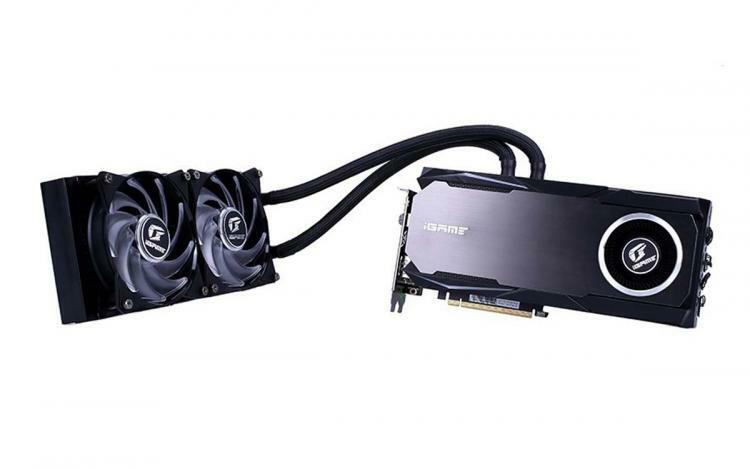 The iGame GeForce RTX 2080 Ti Neptune OC also sports one of Colorfulâ€™s signature feature on its high-performance graphics cards â€“ the dedicated One-Key Overclock switch at the rear I/O. Activating the One-Key Overclock switch automatically bumps the core clock to 1740MHz. Colorful uses Silver Plating Technology that enhances power delivery on every component on the PCB which also improves thermal properties, reduces e-waste, and improve overall durability of the graphics card. Along with iGame Pure Power Technology, the graphics card achieves high electronics impedance, lower EMI, and greater stability. No information on pricing and availability as of this writing. Learn more about the iGame GeForce RTX 2080 Ti Neptune OC here.